We are the most active volunteers in our community. We are the strongest student leaders in our organization. We are the most spirited Division in all of Key Club International. ​Thirty who?! Thirty-two! Division 32 is one of the 41 divisions within the PNW region. Our divisional colors are black + red and our mascot is Toasty the dragon. As of 2018, there are 9 schools within our division Foster, Tahoma, Renton, Lindbergh, Hazen, Kentlake, Kentridge, Kentwood and Kent-Meridian. Although slightly far apart, the sense of family, bond, and community is undoubtedly strong within our division. Whether it is DCMs, or events with other divisions, the presence of 32 is always felt! Dragons! We run this district. Our 2018-2019 Lieutenant Governor is Justin Englund from Kentwood High School. ​His favorite part about serving as LTG is leading the division at DCON. He decided to run for LTG because he felt like it was the next step for him in leadership, as he likes problem-solving and working in groups. He thinks people should join key club because it is a great way to give back, make friends and gain leadership skills. 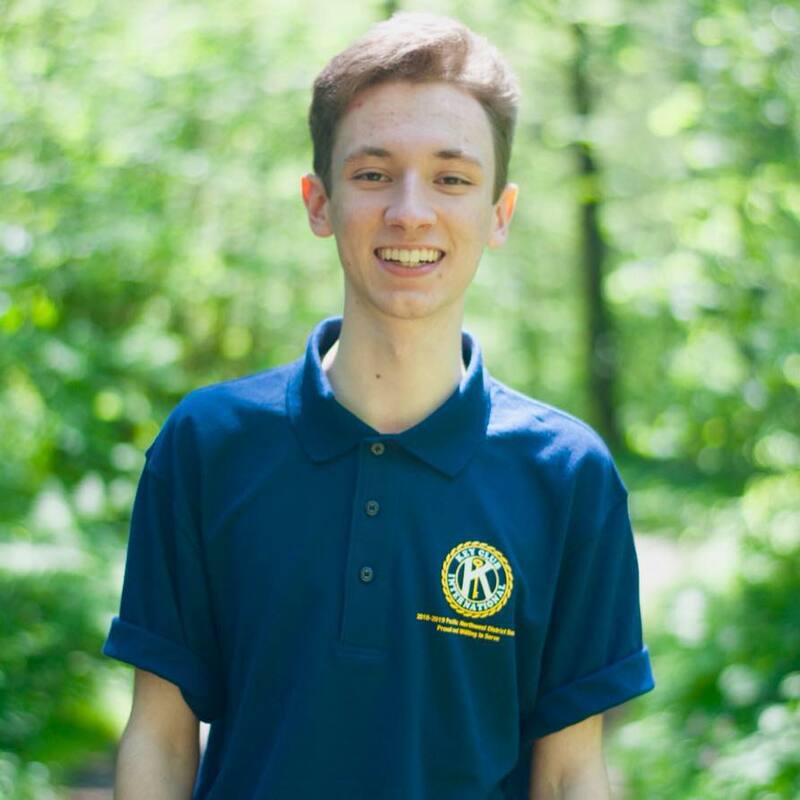 He hopes to prepare the division for the 2019-2020 service year and focus on communication, Kiwanis family and social issues. By doing so, he plans to further engage members in the future. We have a sister division: DIVISION 33, the krakens! WE GOT SPIRIT, HOW 'BOUT YOU? WE LOVE KEY CLUB, YES WE DO! ​WE LOVE KEY CLUB, HOW 'BOUT YOU? AND WE CAN'T BE STOPPED! Spirit Leaders (or anyone in general): Thirty who? Spirit Leaders (or anyone who shouts it): WHO’S IN THE HOUSE?! Everyone: THIRTY TWO’S IN THE HOUSE! AND WHEN WE’RE IN THE HOUSE WE ROCK IT ALL NIGHT LONG! Let me hear your dragon spirit! Spirit Committee comprises of two people from each school in our division that helps the members of our division get spirited before DCON! Every committee member has a custom cape (so stay on the lookout).